I actually feel sorry for that produce. Squished tightly together, with no room for air to circulate, it would made a sad salad indeed if freed from its plastic prison. 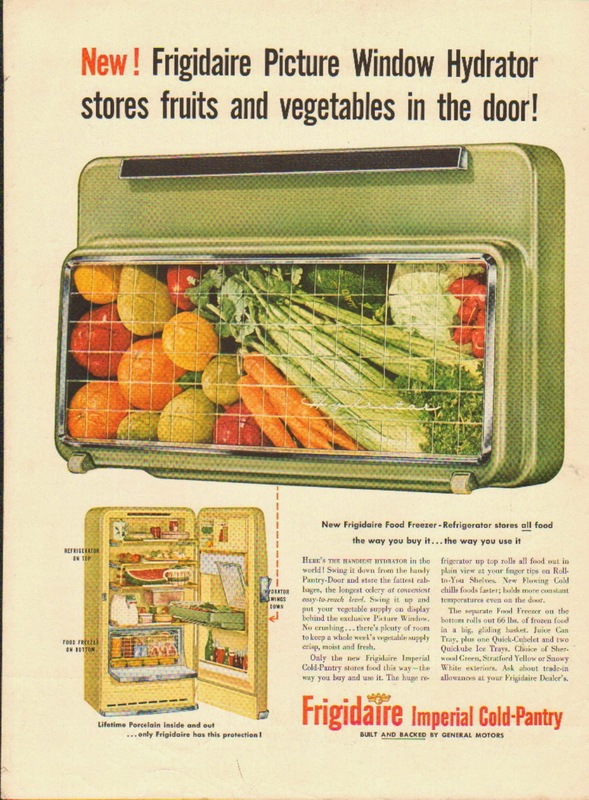 Evidently back in 1956, fruits and veggies were second-class nutritional citizens, to be relegated to cramped, in-door refrigerator compartments. It's quite a different scene today, as we treat heirloom and organic crops with much more respectful storage.